Africa Leaders Summit: Who Didn't Make the Cut? Omar al-Bashir, President of Sudan: Bashir remains the only acting head of state who has an outstanding warrant by the International Criminal Court for war crimes. (Kenya's head of state Uhuru Kenyatta who is attending the summit, is also facing war crimes charges but is cooperating with The Hague) Bashir, who's been in power for 25 years is considered one of the architects of the genocide in Darfur and fueling the civil war in Sudan that raged for more than 20 years and killed over two million people. The United States is not a party to the ICC and is under no technical obligation to arrest him if he came to the summit, but the Obama administration voted to refer Bashir's case to The Hague in 2009, and has pledged general cooperation with the court on the matter. That means if Bashir were to come, he could have been arrested. As a general principle, senior U.S. officials do not meet directly with Bashir, which was true even during the negotiations leading up to South Sudan's independence in 2011. Catherine Samba-Panza, Interim President Central African Republic: After a coup in March of 2013, the African Union suspended the Central African Republic and the country plunged into ethnic and religious violence, spawning a refugee crisis that saw tens of thousands of people flee their homes, and hundreds killed. Samba-Panza was appointed as interim president in January by a make-shift parliament as political negotiations continue to try and bring peace to the country. Unlike the other leaders who were not invited to the summit, Samba-Panza is considered capable and has had generally positive experiences with the West and the International community during her short leadership so far. But rules are rules, and CAR remains under political sanction by the African Union until the country holds a democratic election to replace the interim government, and as such Samba-Panza could not be considered for attendance to the summit. 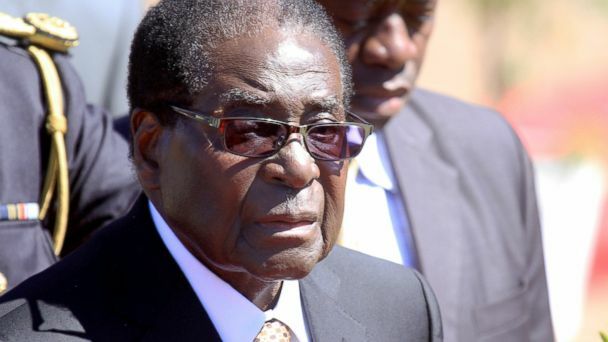 Robert Mugabe, President of Zimbabwe: Though Mugabe is in good standing with the African Union and is not facing war crimes charges, he has been sanctioned by the United States government and the European Union, including being subject to travel bans in both America and Europe. The leader, who has been in power for more than 30 years, has won the last two elections by voter intimidation, rigging and violence, human rights groups and Western governments allege. Following Mugabe's re-election in August of 2013, the state department said the United States did not find the poll outcome legitimate due to "the lack of transparency in electoral preparations, by continued partisan behavior by state security institutions and by the technical and logistical issues hampering the administration of a credible and transparent election." Isaias Afewerki, President of Eritrea: President of what has been dubbed Africa's "North Korea," Afewerki's regime stands accused of committing gross human rights abuses including forced lifetime conscription, detainment without due process, and providing funding and support to the Somali terror group Al Shabaab. The country is also under UN sanctions. The United States and Eritrea have very limited diplomatic ties, with no aid and very little trade between them. And though both maintain embassies, neither has an ambassador serving in their respective countries.